Ian and Annie founded Act 1 Tours in 2000 and continue to be involved in all aspects of the business, including the creation of innovative itineraries and travel experiences as well as leading tours to some of the world's greatest opera and cultural destinations. With their highly personalized approach, Ian & Annie take good care of guests and promise enjoyment and satisfaction from start to finish for both Act 1's Signature Series tours and privately-commissioned tours for benefactors and patrons of performing arts companies. British-born Ian's background includes an M.A. from Cambridge University, followed by a professional career in public accounting and senior financial positions with two Fortune 500 companies. Annie filled leadership roles in both the public and independent high school sectors in England, Canada and the USA, specializing in science education, college entrance counseling and senior administration. Jacqueline joined Act 1Tours full time in 2006 and has become a specialist in international and domestic privately customized tours for patrons and benefactors of performing arts companies. In addition, she handles administration, tour planning and destination research. Jacqueline's early years were spent in Toronto ON, Kalamazoo MI, Cheshire, England and Santa Fe NM, thus developing an adaptable and flexible approach to everyday challenges and experiences. She holds a Bachelor of Fine Arts, Theatre-Dance degree from Ryerson University. This, combined with her strengths in music and the arts developed throughout fifteen years of classical ballet training has shaped her approach to creating opera and music tours. Jacqueline's extensive travel experiences and immersion in the arts has fueled a tenacious drive to maintain and continuously enhance Act 1 Tours' performance and programs. She has lived in New York City since 2004. Desirée Mays is a speaker/storyteller who has spent much of her working life sharing her love of opera. 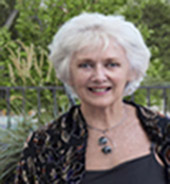 She has been the resident nightly speaker for The Santa Fe Opera since 1998; her book series, Opera Unveiled, has been published annually since 1999. She is a radio producer and personality, reviewer and writer for the media. She has led many domestic and international opera tours since the late 1990s. 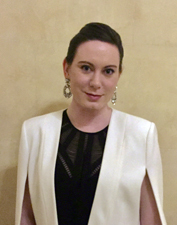 Desirée is a regular guest speaker at the MET in New York, the San Francisco and Los Angeles Opera companies, and Wagner Societies far and wide. A reviewer wrote "Desirée Mays takes you on paths of history, music, human nature, and myth to the very heart of the operatic experience." Michael Morres retired after a full career as an officer in the Royal Canadian Navy in 1994 and began leading tours in 2004. His specialty areas include the Middle East, China, South America, Central and Eastern Europe, India, and Southeast Asia. As an experienced Tour Director he has worked with ACT 1 and other Tour Companies in various capacities in recent years and led his first tour for ACT 1 to the Strauss Festival in Munich in 2008. He was invited to join the Board of Directors of Pacific Opera Victoria, one of Canada's premier Opera Companies, in 2004, and served as President of that organization from 2005 to 2010. He currently remains on the Board as Past President. He has an extensive knowledge of both the business and artistic sides of Opera both in Canada and the US, winning the Opera Canada Award for Trustee of the Year 2015. When not travelling he resides in Victoria, British Columbia, Canada." Diego was born and raised in Colonia, Uruguay and moved to Buenos Aires to attend university in 1983. Passionate about service and attention to detail, Diego worked in a family hotel as a teenager, covering almost every position in hospitality and continued while attending university where he started guiding small groups and individuals around Buenos Aires. Diego holds a degree in Political Sciences (1986) and a Masters in International Relations(1989). Opera is a passion developed in his early years from his mother with whom he attended performances at the Teatro Colón, Teatro Solis and Sodre (Montevideo). He has more recently also become an avid photographer. Currently he lives in San Telmo, Buenos Aires, where he is a licensed local guide. His travel leadership takes him worldwide, working across the spectrum, from individual patrons to major international conventions. Wherever he travels he takes the opportunity to indulge his interest in opera and the other performing arts. Fluent in Spanish, English, Italian and Portuguese with a working knowledge of French.